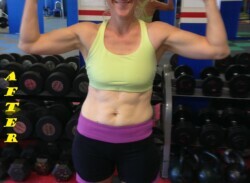 Are You Ready to Finally Break Through & Enjoy Re al Total Body Fitness Results? Get started with an effective, reliable & comprehensive approach to fitness & weight loss management! Are you frustrated with trying one fad diet or infomercial product after another without ever accomplishing your goals? Does it feel like you live in fear of the scale and the mirror? Are you looking for a complete approach to health, fitness and weight loss which is actually based on you and your body? If so, My Closely Guarded Training Program Will Help You Transform Your Body and Change Your Life For The Better! My name is Sandro Torres, and after a decade working in the fitness industry, I knew it was time for me to offer my clients something more — an innovative, comprehensive, and proven approach to deliver real results. That’s why I founded Custom Body Fitness in 2010, and today, remain passionately dedicated to serving my clients and helping them accomplish their fitness and weight loss goals once and for all. There’s no such thing as a one-size-fits-all solution for health and fitness. That’s why our program is entirely personalized for you, your body and your goals. You’ll benefit from an approach that is much more than simply training at the gym. We provide you the healthy lifestyle tips and nutritional insight you need to succeed out of the gym as well, and offer a combination of training approaches which offer both fat loss and muscle building. Our innovative workouts offer a fresh and fun approach to fitness, and you’ll be amazed at the quick results you see. You’ll be motivated from our group environment while still receiving the personal attention you deserve. At Custom Body Fitness, we know that the only way to get the body you want is by changing your lifestyle, and we have the tools you need to achieve those goals. We’ll deliver real results, both quickly and over the long haul as well, and you’ll look and feel at your best, enjoying a healthier and happier life. Get started with our personal training and weight loss management and we guarantee you’ll experience great success. Hi, My name is Sandro Torres. 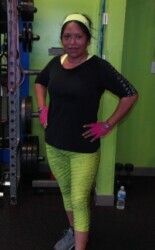 I am a certified personal trainer and the owner of Custom Body Fitness Carbondale, Colorado. 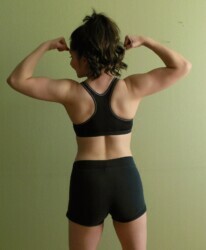 I’ve been involved in personal fitness training since 2008. Custom Body Fitness is unlike any other work out facility. Sandro, the owner, first sets up a meeting to assess your goals , he weighs , measures and talks about your diet and fitness level. When you start the classes they watch everything you do to make sure your form is correct and to see just how strong you are. It is like a personal trainer in a class setting. With so much personal attention you feel the difference much quicker. Sandro and his team are excellent at showing everyone the best way to get the best results. From the very beginning you see results and feel stronger. There is so much support and encouragement from the team and from all of the members. 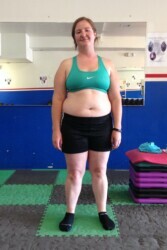 Since I started last May I have lost 9 pounds, gained almost 4 pounds of muscle and lost over 13 pounds of fat. 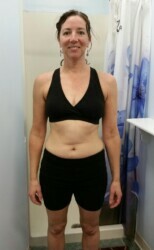 For a tall, lean person who just turned 57 I can honestly say the difference is amazing. I look like I did at age 30 when I felt like I was at my peak. 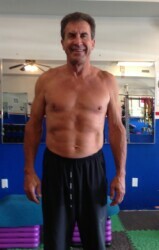 I would certainly recommend Custom Body Fitness to any age group and any level of fitness. Thank you Sandro, Erick, Estela and Naomi for being so awesome and making everyone who walks in the door feel so welcomed and supported. I have lost 3.5 pounds of fat and I have gained 8.5 pounds of muscle. I’m very happy with the results from coming to CBF. CBF’s staff is very attentive and supportive during sessions, as well as helping motivate us! I have been in too many gyms and health clubs- CBF is very different due to the individual attention, the programs of exercise, goal making and assessments. 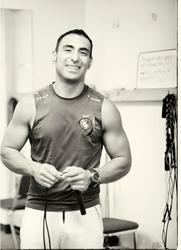 The commitment of Sandro and staff, the friendly atmosphere (not intimidating like many other gyms) makes CBF special. In addition, CBF focus in the “big picture” exercise, diet and lifestyle. It is like having a personal trainer but at much less cost! I absolutely recommend CBF. I’m very happy with the results. 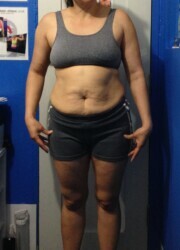 I have increased where I thought I could go because I saw what I was able to achieve in a short 4 ½ months. 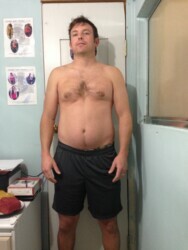 I have lost 20 lbs of body fat in 4 ½ months at CBF! 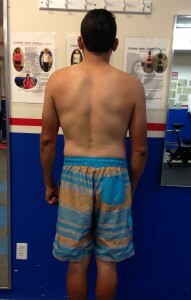 The assessments have been a huge part of my success at CBF. Sandro has helped me identify areas that I was not looking at and has turned my focus towards health and fitness versus a “quick fix” of weight loss. 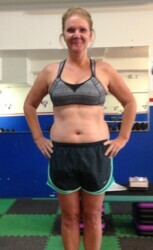 While my original goal was to lose weight, my current goal is true fitness, both mind and body! Sandro and his team know what they are doing. Our weekly routines are challenging and we have fun! There is a great sense of family and we all encourage each other. There is great attention to you as you are working out to make sure that you are positioned correctly. The staff knows what I can do and lift and pushes me to the next level. I need that because I was not doing this on my own. 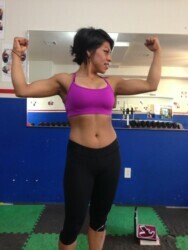 I love feeling strong, confident and healthy. Would you recommend Custom Body Fitness? I absolutely recommend CBF. I needed a push at this time in my life and found it here!! Sandro Has an outstanding knowledge! He understands and knows how to help you achieve your goals. I have improved my eating habits. By the way, Sandro’s new book is excellent. I go back to it and re-read it from time to time to stay motivated and focused on my goals. CBF helps me to stay motivated trough every session and on track and focus every day. The different workouts have kept me entertained and it makes it easier to start every week. CBF’s members have a positive attitude. 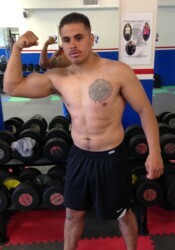 Sandro is a great motivator and has been able to push me to work harder every time. I like that he is very involved in everyone’s progress and sheers every member individually based on their capabilities. He acknowledges ever member’s strengths and weaknesses and turns it into something great. Also, the great attitude, the flexibility the trainer has. The good workouts and monthly evaluations keep everyone motivated. I absolutely recommend CBF. 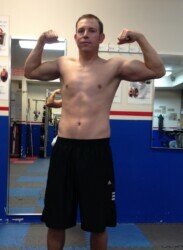 I talk about it to all my friends and the people who have seen my progress. Most people are concern with past injuries and other problems or excuses. I totally recommend Custom Body Fitness to them because I know Sandro is great on addressing this type of conflicts. I’m very happy with the results. I have achieved my goals sooner than I expected, but it wouldn’t been possible without the help of Custom Body Fitness and staff. 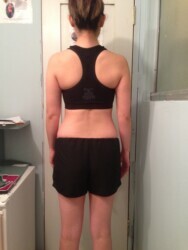 I lost 11 pounds and over 6% of body fat. I love Custom Body Fitness. I love the exercise routing and the results keep me motivated. 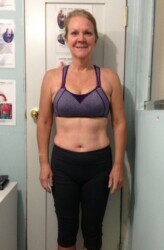 “CBF provided the structure, expertise, and encouragement to exceed my goals for body health. 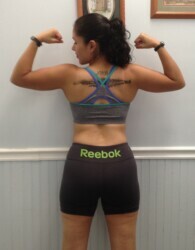 CBF reinforced the motivation I came with to make a change in my life for the good. CBF is close to my work place and has a schedule that works well for me. Sandro and Erick provide the proper guidance for safe and fun workouts. I always recommend CBF to anyone serious about making a positive change for health and well-being. It always comes back to you. You have to want this more than your current state of affairs. CBF can help you get there. Consistency and hard work will give you results. If you try to cut corners then you’re only hurting yourself. I’m very happy with my results. I have lost 24lbs in 6 months. I have exceeded my weight goals in a relatively short period of time (24lbs in less than 8 months) which has only motivated me to go further to see what can achieved, by the way, I’m 61 years of age. 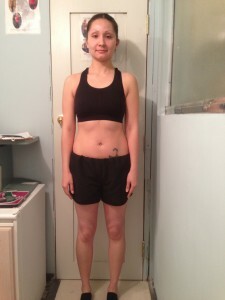 “I lost 10 lbs. 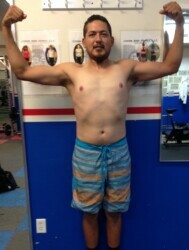 and my body became more toned. I would like to say thank you Sandro Torres and I would recommend to everyone, who would like to change their body in a better way, to train at CBF. Sometimes if you are working out alone, you may not know if you are exercising properly. Sandro is always motivating, guiding me through the exercise process perfectly, helping me to build my abilities correctly and giving lots of suggestions how to stay fit through diet and daily life habits as well. I should mention that CBF program has variety of interesting and fascinating exercises such as weight lifting, cardio and stretching system that helped me be in shape. In conclusion, I can say that I am happy with my result! One month money back guarantee! We show our clients dedication, discipline, passion and commitment, and that’s what each and every person in our gym helps everyone also achieve as well. We’ll help you stay accountable and committed, and continue to push past obstacles and reach new heights. You’ll enjoy a friendly and motivating environment where everyone is on the same page. Most importantly of all, your goals and the results you see are what we’re focused on. With our innovative and in-depth approach to total body health, fitness, nutrition and weight loss, you’ll finally reach the goals you’ve always craved. I’ve lost 40 lbs. 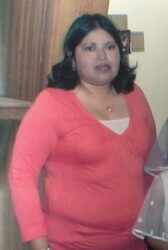 I’d been stuck in a rut trying to lose baby weight for almost 5 years and needed some motivation and support. Now I feel healthy and confident and couldn’t be happier with the results. CBF helped me set weight loss goals- set a long term goal and then break it down into achievable steps. The monthly assessments made me accountable for the goals I set and reviewing the progress I made each month gave me more motivation to continue. 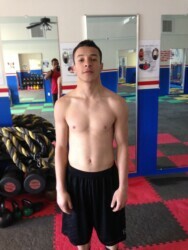 I really enjoy the workouts at CBF. I feel confident that I’m getting a good workout every time. I’m always excited to see the new exercises every Monday. Sandro, Eric and Estela watch carefully to make sure the exercises are completed safely and remind me to move up weights when I’m ready. Not to mention that the classes at CBF are small so you get plenty of instruction from the coaches. All the coaches really care about you and want to help you achieve your goals. I would definitely recommend CBF. 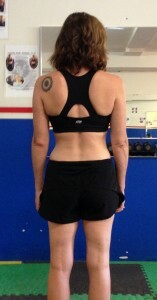 Custom Body Fitness supports me and gives me personal time. 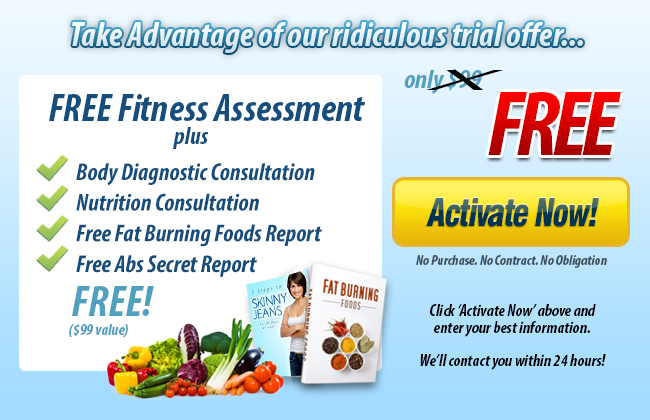 They give me legitimate information about eating habits and how to improve my body. What I like about CBF is the motivation that the trainers have given me. Also, I like the individualized approach the trainers provide. Even though we are in a group, they pay attention to all of us. I’m very happy with the results. I have lost 32 pounds of fat. I would recommend CBF to anyone who wants to start a new life! Custom Body Fitness has helped me by creating goals and becoming more disciplined with my eating habits and exercise routine. What I like the most about CBF is the energy and motivation of the trainers. The trainers at CBF are genuinely interested in helping people reach their goals. I have lost 11 pounds in 3 months and I’m very happy with the results. 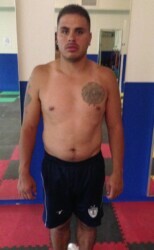 I recommend CBF to anybody who wants to lose weight and get in shape. 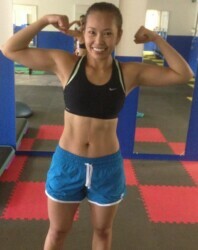 When I came to CBF, I needed to “jump start” my fitness again. I also wanted to loose fat and firm up. I have been able to achieve all of that in the last 5 months. 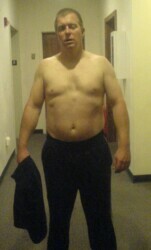 I have reduced by my body fat by 4% and increased my lean body mass. My body is much more toned and all of my clothes fit much better. I especially notice the loss of inches in my torso and a lot more core strength. I love that each week the mix of exercises is different – it does not get boring! Sandro and his staff are super positive and motivating, and they have a genuine concern for all the members. Sandro is full of love and care for each person. Walking in there and getting hug, a smile and a “Welcome my friend!” just makes you feel good, even before you start your workout. Sandro helps each person keep their motivation to exercise by meeting with them monthly to do an assessment, helping each member set their individual goals and them keeping them accountable to those goals. That is a virtue beyond just the exercise that makes this place unique. I look forward to each new week of exercise, wondering what we will be doing and anticipating not just hard work but some fun also. Even though it is a group exercise program, he works with each individual to determine their own objectives. It is not a competition with other people, but he does challenge you to set your own milestones and helps you achieve them. I am very happy with the results. 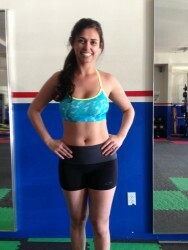 I would recommend Custom Body Fitness, for sure! 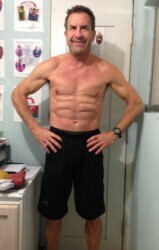 The knowledge and understanding of fitness and nutrition that Sandro has is helping me reach my goals. He changed my diet, talked about nutrition, explained me things with a lot of patience and introduced me to exercises I would NEVER have tried on my own, like deadlifts, that’s my favorite workout! He also helped me understand that each person is unique with regard to what can be achieved and how long it takes to achieved it, so I stopped comparing myself to others and started focusing on getting stronger and trying to be the best I can be. Now I look forward to my work out each day and have become totally addicted to exercise. 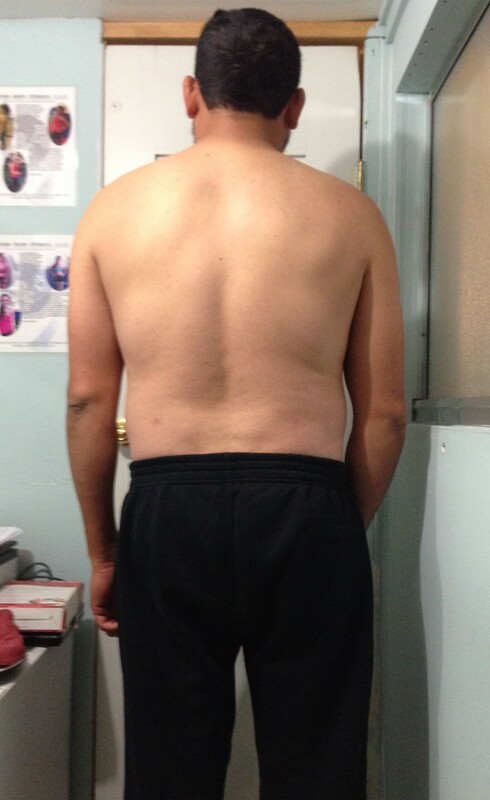 Since I started working out at CBF, I have noticed several positive things, my body fat percentage dropped quickly. 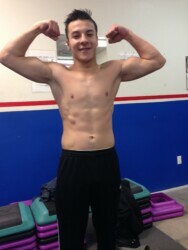 I’m building muscle. I feel great and happy with my results! Sandro and Erick are super helpful and motivational. The group atmosphere keeps it fun and it’s never boring. For me this is the best fitness program I have ever done! I could not recommend this enough to people who need some motivation to get fitter, healthier or leaner. This is money well spent and something that can change your lifestyle for good, not only with exercising but also with eating properly and feeling happy with yourself. 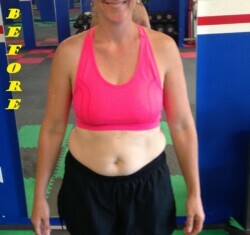 Custom Body Fitness has helped me reach my goals by keeping me healthy, feeling great physically and mentally. It has helped me reach my goals even outside the gym. I can apply what I have learned here at CBF, in any area of life, which is to push myself in everything I set my mind in. What I like about CBF is that they focus in helping me by pushing me and making sure that my exercise form is looking great. Coming at CBF has really helped me become disciplined inside and outside the gym.I really like our trainers because they motivate me to keep trying to reach my goals. Sandro treats me like a good friend and is always putting in his time to help me. I would recommend this place to anyone who is looking for results and looking forward to being successful. 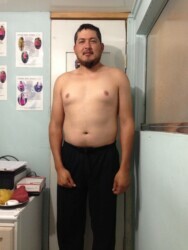 I gained 7 of muscle pounds which I felt extremely great about it since my goal was to gain muscle mass. My fat levels went from 10 to 7.5%. Thank you CBF! At Custom Body Fitness, we pride ourselves on delivering real results for all of our clients. You receive much more than training alone, we offer personal assessments, weight management, and the lifestyle tips you need to be healthier and happier. We’re confident that when you begin our program, you’ll enjoy great success, and that’s why we’re offering this very special ironclad one month money back guarantee. If it seems like you’ve tried it all and you’ve never reached your goals, then don’t give up. Custom Body Fitness will get you there with our personalized and comprehensive approach to training and weight loss management. After just a few training sessions, you’ll already begin to see results. And with our monthly assessments, you’ll be astonished at your progress and how much your body has changed. We’re confident that once you get started with Custom Body Fitness, you’ll never need another gym or trainer again. We guarantee that we’ll deliver results for you, and that you’ll thrive in our motivating group training environment. When you’ve been searching for the tools to finally succeed with fitness, weight loss and a healthy lifestyle, Custom Body Fitness is the only program you need. get started. It’s time to change your life, and look and feel better than ever as you accomplish all of your fitness goals. We’ll see you at the next session, and we guarantee we’ll deliver real results!